A bit more than a week ago I started diving into the world of programming games. With my first concept made in Android Studio I quickly came to the conclusion it would be too much work to write everything from scratch and decided to restart the project in Unity. Now, a week later I proudly can say that I’ve made a game. 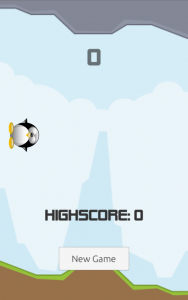 It’s my take on the (once) insanely popular game Flappy Bird. You fly around avoiding objects and score points. Make sure you get more points than your friends! Also, in future updates there will be power-ups and power-downs, so make sure to get the game now and watch it evolve! Linux celebrates it’s 20th birthday!